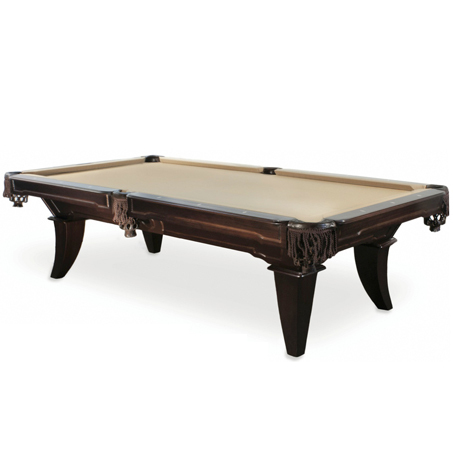 ​The Brittany is a solid Tropical Conifer wood table with a tapered square leg. 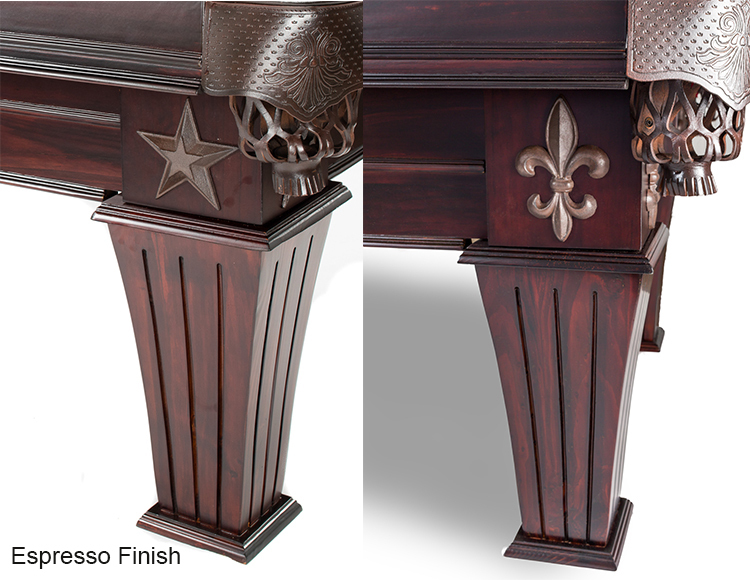 A choice of Metal Fleur de Lis or Star appliques on the cabinet adds to its appeal. 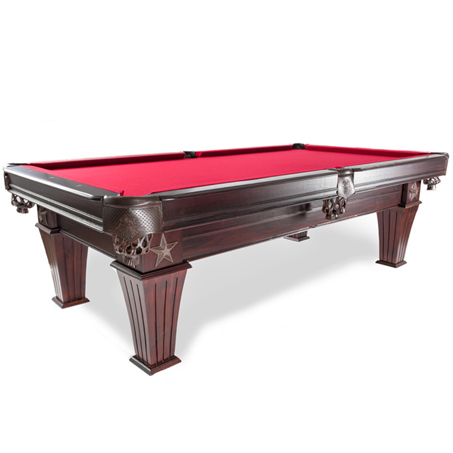 It’s beautifully designed and features tapered square legs and displays a Fleur de Lis or Star carving on the cabinet, along with simple lines thorough the table that add to its elegance. 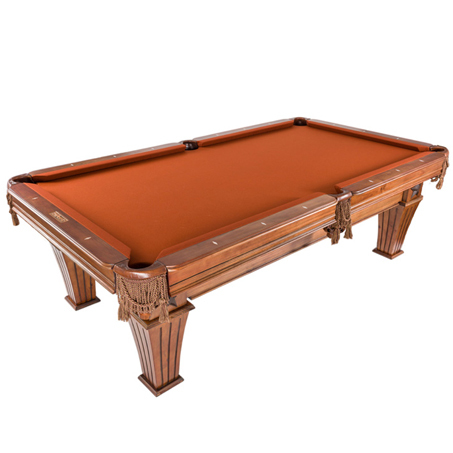 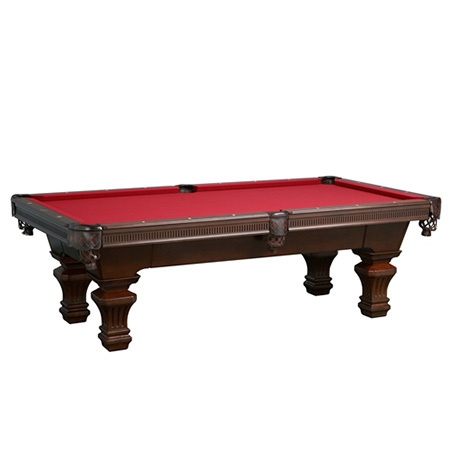 Experience the accuracy, beauty and stability found in the Brittany Presidential Pool Table.